Recently anonymous hackers have breach South African Government’s website database as part of #OpAfrica campaign. Now the hackivists involved in the #OpAfrica and #OpMonsanto campaigns and have breached South Africa’s Department of Water Affairs (DWA). Hackers have breached the site’s database, stolen all its data and dumped it online. 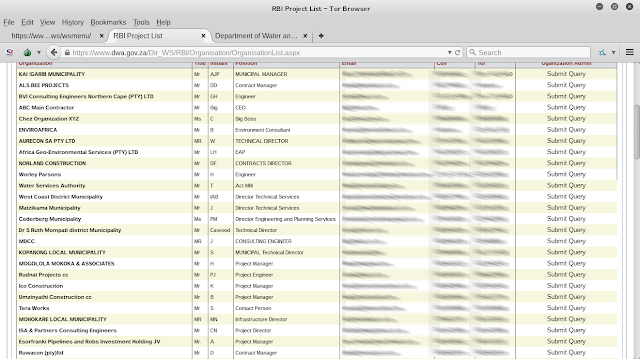 The dumped data on online contains names, emails, ID numbers of over 5,800 government employees and collaborators. It’s not over, even phone numbers, date of birth, addresses, departments where they work, job titles, and hashed passwords has been dumped online. 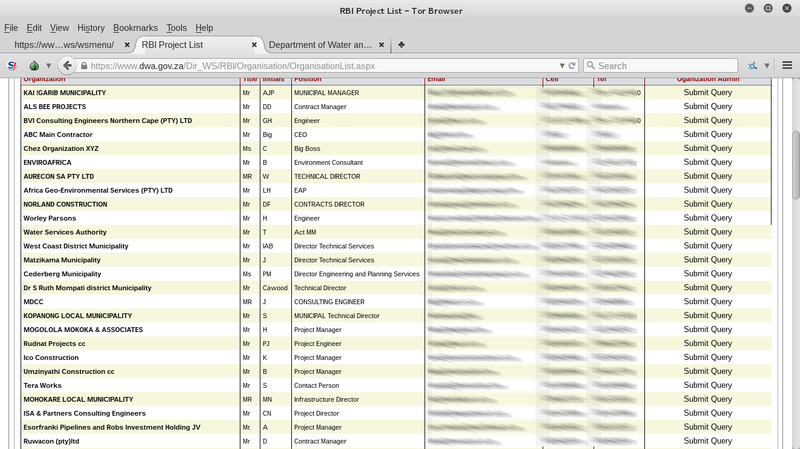 Hackers got access to the site’s administration panel, and got all the user details.